Our caravan has a wheelchair accessible ramp and is located on the popular Seashore Holiday Park in Great Yarmouth. It has two twin bedrooms. There is facilities to make up a double bed in the lounge area, making it a total of six berth. 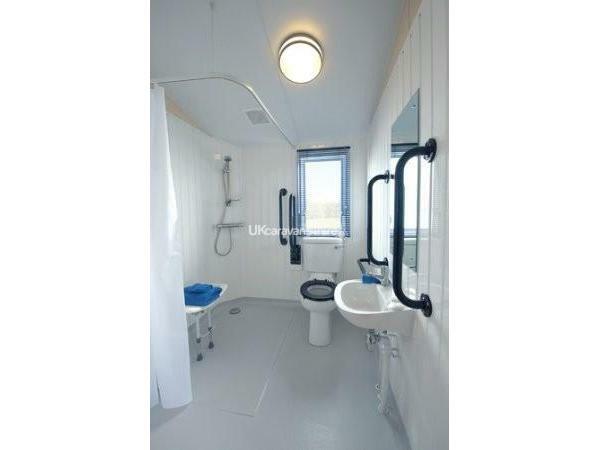 There is a wetroom bathroom, internal sliding doors and ceiling pulleys in the main bedroom. 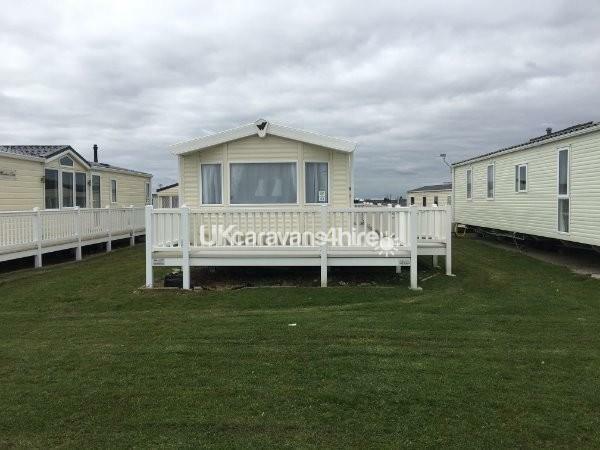 It has a lovely sea view with a veranda and a car parking space next to the caravan. This Haven park is flat so is ideal for wheelchair users. There is a grassed area in front of the caravan with a few wide steps leading to the sand dunes. The park is at the end of Great Yarmouth's promenade which offers lots of entertainment including the Pleasurewood Hills Theme Park along with amusements, Sea Life Centre, Regent Bowling, Merrivale Model Village, Racecourse and Hippodrome Circus. The park has a heated indoor fun pool with flumes and childrens pool, outdoor children's SplashZone, football coaching, all weather multi-sports court, mini archery, mini football, mini fencing, indoor soft play area for under 5s, adventure playground and Kids clubs for all ages with Character Sports Days. Activities that cost a little extra include Water activities, archery and fencing coaching, bike and kart hire, climbing wall with abseiling, Leap of Faith, crazy golf, mini ten pin bowling and pool tables. There is a host of evening entertainment included in the price and our prices include entertainment passes together with electricity as well. The park is on a public bus route and there is also a sea front train which travels along the promenade. There is a Mash and Barrel bar and restaurant, a Pappa John's Pizza with delivery service available and a Burger King together with a SPAR and gift shop, hire shop, and launderette. WiFi is available in the mash and Barrel. Although our unit is adapted for wheelchair access it is available for anyone to hire. Please call us if you have any questions.